Your crypto investing strategy can be as simple or as complicated as anything you do in the fiat world. The tools and resources to manage crypto holdings are evolving just as quickly as the crypto industry itself. This survey of crypto tools and resources can help you manage your holdings. Most regular sources of news are poor choices for finding out what’s happening in the crypto space. If they do run crypto stories, more often than not they run scaremongering headlines about ICO scams and criminals on the blockchain. There are only a few options in the mainstream media for in-depth coverage of the cryptocurrency industry. Forbes and CNBC, in particular, offer daily stories that report on the reality of the crypto business. With Forbes, however, you will need to pay attention to the byline. Articles by journalists will run side by side with contributors, who may have their own agendas. In order to tap into the river of news flowing through the crypto landscape, you’ll need to rely on crypto-specific news sites. Bitcoin, CoinTelegraph, CoinDesk, ETHNews and others represent the “mainstream“ in crypto news. This is where you will find the original reporting and newsmaker interviews that other crypto sites regurgitate. For example, Bitcoin spoke with Japan’s Financial Services Agency about stablecoins and how the FSA would treat fiat-backed tokens. The crypto business is as decentralized as its technology. Simply scanning the mainstream crypto press won’t give you a full picture of what’s going on in the industry. But who has time to read every crypto news site? That’s where crypto news aggregators come in. These sites use a combination of human editors and machine learning algorithms to do the hard work for you. As a result, you get an at-a-glance stream of headlines you can keep on a side monitor as you work. In addition, search and filtering tools let you drill down to find news on the tokens in your portfolio. At $100 per month, Cryptocurrency Newsfeed isn’t exactly cheap. However, if you’re deeply invested in cryptocurrency and have a strategy where timing matters, the subscription news service could pay for itself. Dozens of human editors monitor news outlets, government regulators’ websites and other sources of news about thousands of cryptocurrencies and tokens. Cryptocurrency Newsfeed ’s subscription-based business model lets it claim a level of independence and impartiality. CoinSpectator provides a free, ad-supported, news aggregation service. The tracking tools may not be as sophisticated as Cryptocurrency Newsfeed’s, but CoinSpectator culls through thousands of news sources to produce its live feed. If you can’t justify paying nearly $1,200 per year, CoinSpectator’s free service may do the trick. While media sites are great places to catch the latest news, podcasts help you place the news in context. You get deeper insights from the movers and shakers in the crypto space. More importantly, you get a stronger sense of the trends driving the cryptocurrency industry that will help shape your investing strategy. Some of the best podcasts are hosted by crypto journalists and industry insiders. With their professional networks, they can bring important guests onto their shows. For example, former Forbes contributor Laura Shin hosts both the Unchained Podcast and the Unconfirmed Podcast. She recently spoke with CoinList’s Andy Bromberg and Blockchain’s Marco Santori about the 94% decline in initial coin offerings. Venture capital investor Adam Draper invites guests of his Boost VC Podcast to discuss the entrepreneurial aspect of cryptocurrency and blockchain innovation. Recently, MakerDAO Foundation chief operating officer Stephen Becker joined Draper. They talked about MakerDAO’s stablecoin, the dai, and the broader role stablecoins will play in crypto markets. The Blockchain Insider podcast is produced by the fintech consultants at 11:FS. Their weekly production doesn’t just happen in the studio. They attended the Money20/20 conference and aired a panel discussion with United States Treasury Department official Brent McIntosh as well as an interview with Blockchain’s Marco Santori. You can get a broad perspective on the diverse world of cryptocurrency by subscribing to multiple podcasts — especially those from outside Silicon Valley. Check out the CoinIQ review of crypto podcasts to find some of your best options. If your crypto investment strategy extends beyond the big market cap coins, you may need better sources of information than the crypto media. In the case of the more obscure tokens, the media’s coverage will be pretty sparse. That’s where the token research ecosystem comes in. Several analyst firms provide free reports on recent initial coin offerings and often maintain their coverage post-ICO. These analysts have the business acumen and the blockchain technology awareness that many individual investors lack. As a result, they can provide insights into a project’s viability that may be difficult to find on your own. Coinschedule, for example, conducts a know-your-customer investigation into each project it covers. Although the number of scam ICOs has fallen with the ICO market, the potential for fraud is still there. You also risk investing in a project run by an inexperienced or incompetent team. Coinschedule’s staff tries to confirm the identities of the players on an ICO project and whether those people have the startup experience or developer skills needed to make a project successful. You can get a community-based perspective by reading the reports at ConcourseQ. Volunteers committed to a scam-free crypto community share their own research into projects and provide critiques about each project’s likelihood of success. The German equity fundraising platform Neufund created the ICO Transparency Monitor. The service’s algorithm calculates a transparency rating based on data from the Ethereum blockchain. Among the considered variables are the degree that smart contracts are self-executing and the way tokens are generated. Because of the objective data and automation, the ICO Transparency Monitor is a reliable way to evaluate projects. Picolo Research takes a more hands-on approach by conducting interviews with the project teams they cover. These interviews dig beneath the bullet points in marketing presentations to get at a team’s ability to deliver on its promises. The free reports analyst firms provide are helpful, but each firm only reviews a small subset of the blockchain projects that are out there. Just like with the news sites, token research aggregators promise to be the one-stop-shop for crypto research. Unfortunately, the quality of the research reports can leave a lot to be desired. You may find yourself reading a lot of one-page summaries churned out by report mills before you find one insightful piece of research. Crypto exchange Binance recently launched its Binance Info service to help crypto investors find better results. CoinIQ recently sampled Binance Info research from 18 agencies and found mixed results. You will need to do some initial work to find the analysts worth reading. Some of the “research” was less informative than the token’s website. However, you will find research from reputable firms like Picolo Research and Crypto Briefing that dive into the details of each token covered. ICO listing services are more likely to have research on the tokens you’re interested in, no matter how obscure. You can’t always trust these services, however, since they make their money by promoting the ICO projects. The biggest listing service, ICO Bench, has a poor reputation and has been accused of running a pay-for-play operation. As long as you take listing services’ recommendations with a grain of salt, you can still get some use out of them. The information listing services provide should be just one part of your investment research. In the fiat world, services like Mint and Personal Capital Finance let you consolidate data from thousands of financial institutions to create a single dashboard for your personal investments. Similarly, crypto tracking services create that single dashboard for your crypto investments. Created by a German crypto enthusiast in 2013, CoinTracking is the most-established crypto portfolio tracker. Since it’s been around so long, CoinTracking’s system can integrate with most exchanges and digital wallets. It can also track more than 6,000 tokens. A very limited free option will serve people with buy-and-hold investment strategies. More active traders can purchase annual plans that better meet their needs. 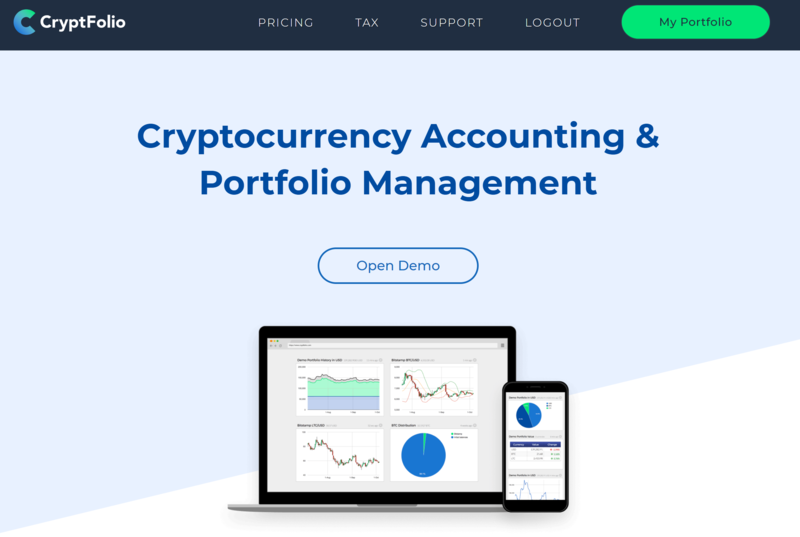 CryptoFolio has only been around for a year, but already offers a compelling feature set. Even though it doesn’t track as many assets as CoinTracking, CryptoFolio does support more than 2,700 tokens. The app provides time-series charts that let you track the performance of your investments. Analytical tools let you identify the trends that will help you time the market. A feature that often goes missing from the crypto portfolio apps is the ability to calculate taxes on your crypto sales. If you upload your transaction history into dedicated crypto tax calculators, the apps will calculate your capital gains and capital losses. 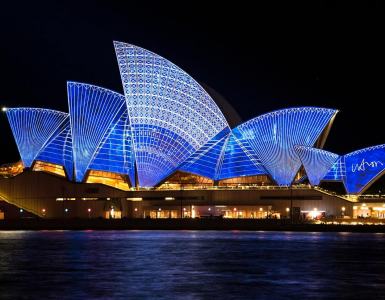 Many will then generate the appropriate tax forms for US citizens or provide the summary reports you need to file your country’s capital gains taxes. Not to be confused with CoinTracking mentioned above, the CoinTracker tax calculator is a subscription-based service for American crypto traders. The app integrates with 19 exchanges to automatically load your transaction history. It will also accept CSV uploads from other exchanges. Investors who trade infrequently may find Bear.tax’s low-cost options appealing. The number of supported exchanges is much smaller, but the user-friendly interface and live chat support make Bear.tax more accessible than more professionally-oriented tax calculators. Most first-time crypto investors get into the market by trading cryptocurrencies on various exchanges. Over time, they become more sophisticated in their trading. Taking advantage of arbitrage opportunities or placing trades on margin add more risk, but can generate higher returns. However, trading tokens isn’t the only option that you have to invest your crypto. Taking a page from peer-to-peer lending services in the fiat world, several companies let you earn interest on your bitcoin holdings by issuing loans to small business owners. In contrast to mainstream lenders, these crypto services bypass the fiat system. As a result, people with poor credit or no credit history can get the capital they need to invest in their businesses. Bitbond, founded in 2013, is one of the only survivors in the first wave of bitcoin lenders. Perhaps one reason for this was the company’s ability to get licensed by Germany’s financial regulators. Bitbond lenders who maintain a balanced portfolio can often receive a 10-13% return on their investments. This may not have been attractive in 2017’s period of hypergrowth, but it’s much more appealing in the moribund 2018 market. A new generation of crypto lending firms began appearing over the past year. 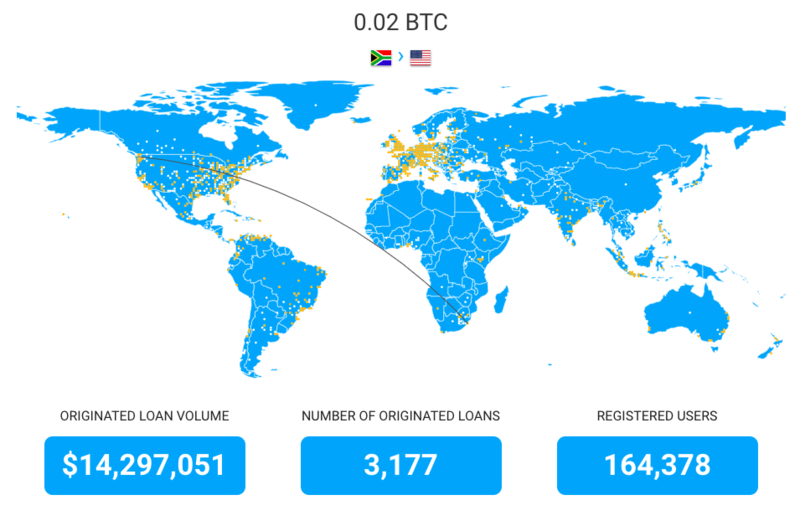 Among these, SALT Lending is available in the United States and a few other countries. Unfortunately, the company has struggled with executive turnover and other controversies. Additional startups hoping to make it big in crypto lending include Ripio, CoinLoan, ETHLend and Nebeus. Another way to earn passive income on your crypto holdings is to support a proof-of-stake blockchain. In a proof-of-stake system, investors lock away their holdings in a digital wallet which records transactions to the blockchain. However, setting up such a masternode is not for the technical faint of heart. You need to understand Linux servers and how to create instances on a cloud computing service. Dash may be the best option for the first time stakeholder. The privacy coin is one of the largest cryptocurrencies that uses proof-of-stake. A well-documented support site will guide the technically proficient through the masternode setup process. You can still stake your holdings even if you don’t have deep technical experience. A staking pool will handle all of the technical details. 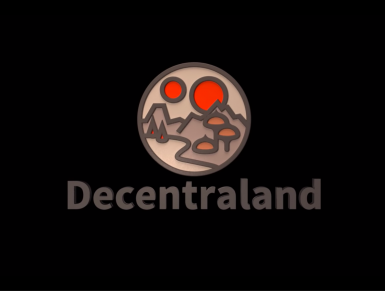 You just hand over your tokens and begin collecting the blockchain rewards — minus a small fee from the staking pool. In addition, services like SimplePoSPool will pool assets for several different staking cryptocurrencies. On the other hand, cryptocurrency projects like Decred make things really simple by building the pooling capability into the blockchain. As a result, you don’t have to entrust your holdings to a third party. Over the past decade, the cryptocurrency industry has gotten more sophisticated. Crypto exchanges replaced simple peer-to-peer trading markets. Later, exchanges began offering advanced trading options such as leveraged trading or futures markets. More advanced derivatives and instruments like exchange-traded funds are on the horizon. As the number of crypto investing options has grown, so has the number and variety of tools for crypto investors. Whether you buy-and-hodl or you actively day-trade on the crypto exchanges, you can find a service to meet your needs. 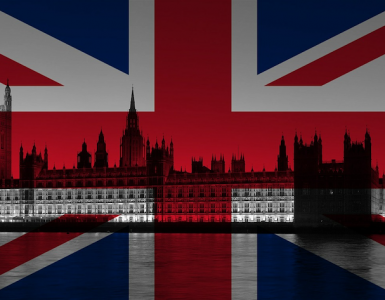 Now that crypto has entered the British consciousness, the country’s politicians and regulators want to regulate the industry more closely. Crypto is here and so are crypto laws in the UK. Please note that CoinIQ is reader-supported. When you sign up for products or services through links on CoinIQ, we may receive an affiliate commission. We maintain strict editorial standards and our recommendations are in no way affected by these commissions. We do not compromise on our critical approach for any product, service, person, or company. We'll send you a roundup of the most important news in crypto, every week. Our mission is to bring you the stories that are most relevant and important in understanding the state of the cryptoeconomy. Which Cryptocurrency Exchanges are Registered with FinCEN? Which Canadian Crypto Exchanges are Registered with FINTRAC? Is Cobinhood a Legitimate and Safe Cryptocurrency Exchange? Thank You! You'll receive a confirmation email within 5 minutes.